The number of Finnish companies active in nanotechnology has more than doubled from 61 to 134 in just two years. UK researcher pioneered a way to make single-layered planar plastic transistors and diodes using a fast and simple printing technique. The Review concluded that the UK government has not provided sufficient support for research into the toxicology and health and environmental effects of nanomaterials. Researchers have developed a way to directly target and destroy the blood vessels of solid tumors, thus destroying the tumors while leaving normal tissue unharmed. Researchers are looking for ways to use gold to prevent the destruction of platinum in the chemical reactions that take place in fuel cells. 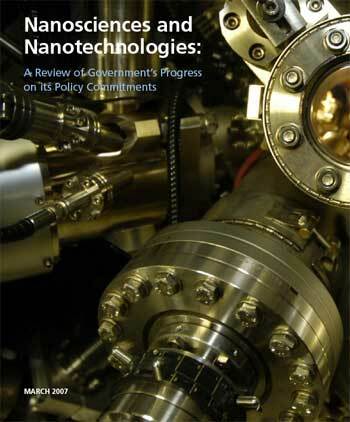 Nanotechnology promises to bring sweeping technological advances in coming years, according to a new study released by the Joint Economic Committee of Congress. The Japan Science and Technology Agency (JST) and the Deutsche Forschungsgemeinschaft (DFG) have agreed to establish a new scheme for joint funding of Japanese-German cooperative research in nanoelectronics. To give blind students a feel - literally - for nanoscience and technology, scientists are building three-dimensional models of nano-surfaces that are large enough to be explored with the hands. In response to the ever increasing number of consumer products containing silver nanoparticles, Friends of the Earth Australia has prepared a detailed background paper on the potential threat of nanosilver to soil, water and human health. 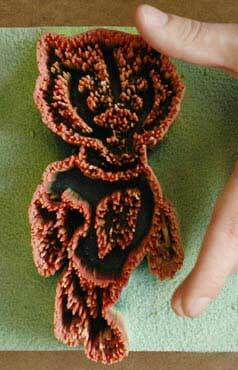 An Australian ethicist claims that widespread hypocrisy about nanotechnology is a worrying sign. 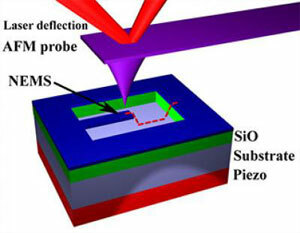 The vibration of the tiny oscillators can be measured by tapping with an atomic force microscope. Living cells gobbled up fluorine-laced nanoparticles without needing any coaxing. 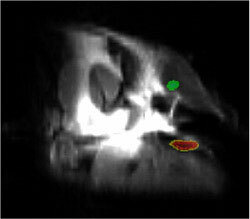 Then the cells were easily located with MRI scanning after being injected into mice. A new type of coating that attracts water yet beads oils, traits that are usually mutually exclusive, promising potential applications such as self-cleaning eyeglasses and antifogging car windshields and ski goggles. New nanocrystal research to a new level that may lead to a new generation of vaccines and better computer printer ink. 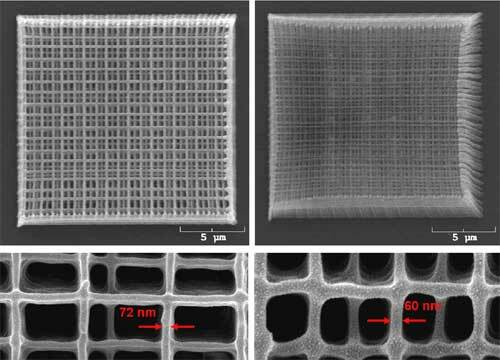 Ultrathin, nanoscale films composed of DNA and water-soluble polymers allow controlled release of DNA from surfaces.